TotalSim’s TS Aero app is built to run on the open source CFD solver OpenFoam. It allows general users to perform CFD design exploration on aircraft. Image courtesy of TotalSim. At Simulation Hub, enter a few parameters to configure a virtual valve and then run a computational fluid dynamics (CFD) simulation to visualize the flow and obtain the flow coefficients as a set of values. At TotalSim, upload the CAD geometry of an unmanned aerial vehicle (UAV) into an app, define its basic characteristics and then run an analysis to see the flows and pressures in 3D. 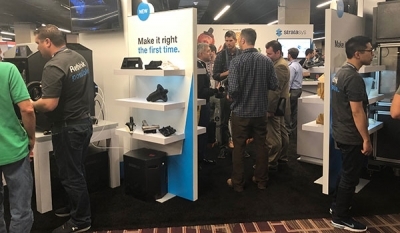 Simulation Hub uses Autodesk Forge, an application development framework from Autodesk, to power its apps behind the scenes. TotalSim uses a customized version of OpenFoam, an open source CFD program, to run flow analysis based on user input. 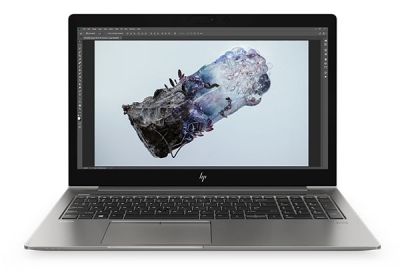 But users hardly come in contact with the background application itself, eliminating the need to buy or learn the program. 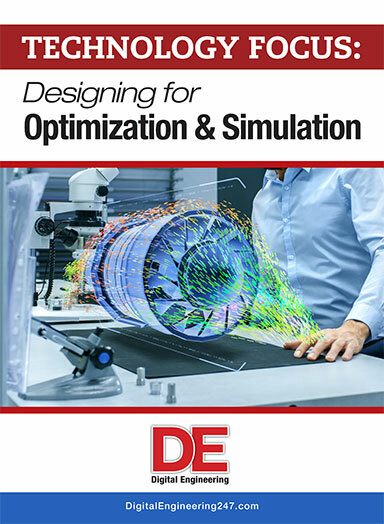 These are but two examples of apps designed to make simulation much more accessible to non-experts, especially to design engineers with limited experience in simulation. The simulation app market is still in its infancy, but the apps and their ease of use have prompted many to investigate their potential. 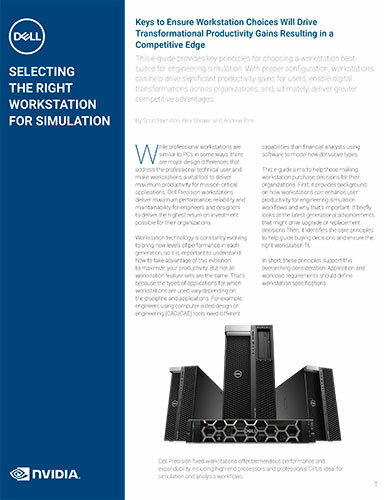 As the call to make simulation more accessible grew, some software vendors anticipated the need to publish templates and apps from general purpose simulation programs. 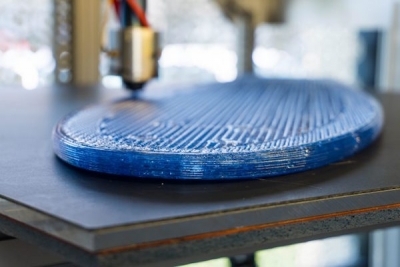 Among them was COMSOL, known for its multiphysics simulation technology. 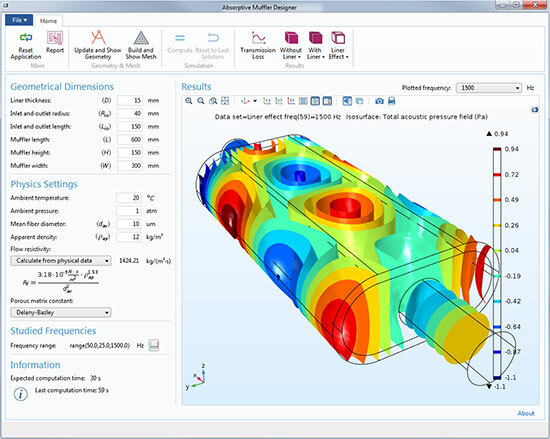 In the release of COMSOL Multiphysics 5.0 in 2014, the company introduced the Application Builder function. A simulation app made to run on COMSOL Multiphysics software. The app allows users to calculate the transmission loss and acoustic pressure in an absorptive muffler for automotive use. Images courtesy of COMSOL. But only certain scenarios are fit for “appification.” Whether intended for internal use or for the commercial market as an on-demand product, an app starts with identifying the right task. “It should be something you can describe to another person in a few sentences during an elevator ride,” Sjodin says. “If you can’t do that, then it’s probably not a task suitable for an app. The description of the main benefit of simulation apps passes that litmus test: By turning some routine analyses into apps, a company can allow non-experts to regularly run simulation, relieving the CAE experts to do the far more complex analysis. The executive team and founders of CFD consultancy TotalSim U.S. are used to working at high speed, literally. Ray Leto, the president, has clocked more than 25 years in race engineering, aerodynamics, simulation and management in Indy and Champ Car. Naethan Eagles, the technical director, was previously on BMW’s Williams F1 Team and BAR F1 teams. One of the apps the company offers, TS Auto, is a reflection of their knowledge acquired from the racing industry. 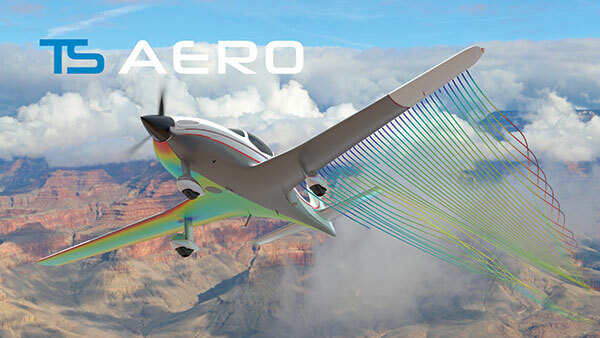 For example, in TS Aero, the app for performing CFD simulations on aircraft, including UAVs and multicopters, users are allowed to upload the geometry of their own design. But the basic topologies of the target objects share many essential characteristics, so the app can scan the uploaded geometry and extract the critical parameters to run CFD. Because TotalSim’s apps are cloud-hosted, the company submits and solves the simulation on the hardware from the Ohio Supercomputer Center, a statewide resource that empowers Ohio’s research universities and private industries. Generally speaking, simulation apps are simple setups allowing users to accomplish a routine simulation task with just a few mouse clicks and parameter choices (for example, a standard ball valve configurator that lets you define the length, diameter and liquid inlet/out to view the pressure). The users usually don’t need to be an expert in the backend simulation. If the app is built with sufficient safeguards to prevent unadvisable inputs, even those with limited domain knowledge can use it with confidence. Apps are commonly delivered SaaS-style—in a browser with predefined input fields. Templates, by contrast, are guided workflows to be performed in a specific general-purpose simulation program (for example, a template for heatsink placement optimization, written to run on COMSOL Multiphysics). The approach allows novice-level users to perform sophisticated tasks usually delegated to experts. Unlike app users, template makers still need to know the fundamentals of the underlying simulation program itself. Whereas TotalSim’s TS Aero is aimed at design exploration for general users, TS Auto is aimed at those with a higher level of expertise in automotive design. The choices available—what is exposed and what is hidden—reflect the target groups. On the other hand, TS Auto is designed for aerodynamicists with a good understanding of how detailed geometry can affect airflows and drag around a vehicle. Therefore, users have a lot more input in the process. Finding the right level of automation remains a difficult challenge for simulation app builders; it requires periodic reassessments of the usages and the apps that may evolve over time. TotalSim’s apps are built to run on the company’s customized version of OpenFoam, an open source CFD program. The choice for open source, Eagles reveals, simplifies its licensing strategy. “One of the challenges of developing apps is that, if we want to use commercial tools, we risk violating the licensing agreement, so we went with an open source option,” he says. Simulation software licenses are often tied to a user seat, a machine or to a set of prepaid tokens known as usage privileges. Therefore, if app publishers want to publish and sell an online app that runs on a commercial solver, they need to negotiate or find a license that accommodates unpredictable fluctuating usages. This type of arrangement is currently not the norm in simulation software licensing. 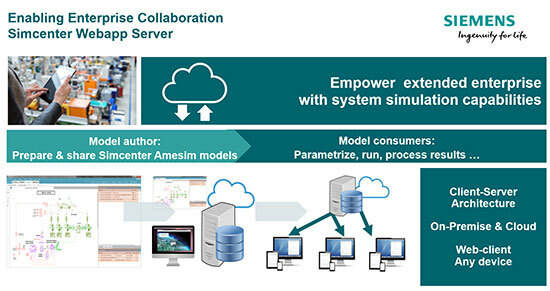 Simcenter Webapp Server from Siemens PLM Software is a server-client, web-based application that provides access to end-user-specific simulation results thanks to pre-defined model parameterization. Image courtesy of Siemens PLM Software. Some commercial solver developers who see opportunities in the budding app market have introduced new ways to license their products. COMSOL offers COMSOL Server, which allows people to publish and distribute COMSOL software-powered apps, accessible to users remotely. 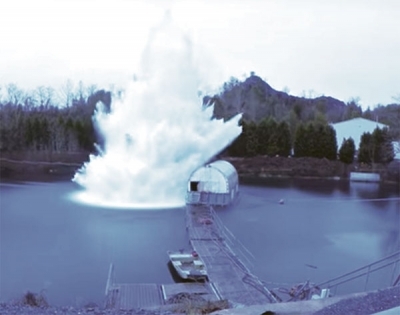 “We as a company don’t provide Simulation-as-a-Service, but we provide the technology to enable others to provide simulation as a service,” says Sjodin. Siemens PLM Software recently announced its Simcenter WebApp Server, which is intended to help expand access to system simulation to engineers who aren’t experts in analysis, or to those in non-engineering departments. 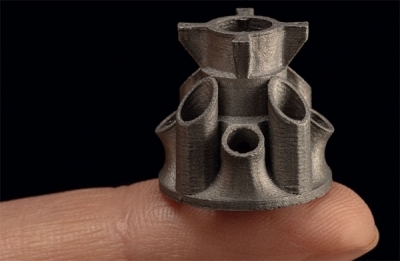 Engineers can determine which parameters of a Simcenter Amesim model will be accessible via Simcenter WebApp Server, upload it to their company’s server and share it. End users access the model via a web browser and can adjust accessible parameters without the desktop application. An app at its core is a mathematical calculation engine. By itself, it doesn’t have the judgment and expertise of someone who has worked for years in, say, racing or the aircraft industry. Therefore, it doesn’t possess the knowledge that certain combinations of rotors, wing styles, propulsion systems and geometry are not advisable. Building this type of intimate industry knowledge as a safeguard into an app is a struggle. “CFD is iterative; you solve the same equations over and over. The simulation model gives you some clues when things are going wrong, like an unusual velocity climb, or non-convergence in our results,” explains Eagles. Eagles also acknowledges there could be cases where no warnings come up, yet the answer the app provides is what an expert can instinctively judge to be flawed. “But as the technology improves, getting bad results will become less of an issue,” he says. Good practice dictates that if non-experts are running routine analysis for product design, an expert should be the final arbiter to decide whether they’re trustworthy.